How’s this for a blinding flash of the obvious? A nation that is unwilling to institutionalize people who demonstrate clear signs of severe mental illness prior to them actually doing something homicidal, provide basic mental health services to people who are moderately mentally ill, and impose any restrictions on gun ownership will occasionally suffer from incidents involving dangerously mentally ill people who are heavily armed and bent on murder. It only stands to reason. Since the mid 90’s gun ownership has steadily been on the rise. Despite the fact that violent crime is at all-time lows, gun ownership has spiked and this is true across age and gender lines or political affiliation. Currently, citizens have acquired more than 200 million privately owned firearms. Meanwhile, the practice of “deinstitutionalization” has resulted in our putting hundreds of thousands of severely mentally ill people out in the community who would have been restricted to state mental hospitals prior to the 1963 when President Kennedy signed into law the “Community Mental Health and Construction Act”. The wisdom, safety, and ethics of both firearms availability and community-based treatment for the severely mentally ill are issues that polarize the public discourse. Activists on the side of gun ownership are stridently unwilling to consider any kind of restriction on their purchase or possession. Advocates for the rights of severely mentally ill people vehemently oppose any attempt to limit their self-determination or autonomy. The political class paralyzed by fear of losing power or being unable to get re-elected, avoids both issues like the proverbial third-rail and that seems unlikely to change. Indeed, the kind of advocacy and political pressure that led to putting the mentally ill out of state hospitals to begin with has now falls on the criminal justice system and often prevents the prosecution of these same people when they do commit crimes. Meanwhile as politicians dither and the public frets public safety and security professionals are left to stand the battlements day-after-day and prepare for the inevitable to occur, be that active shooter incident, serial murder spree, or an ambush attack on officers. What, you ask, is a defender of the peace to do out on the streets of an increasingly well-armed and not always sane America? Tactics, training and procedures that have been developed in response to active shooter are powerful and proven successful part of the answer, but they are specific to a situation involving the police being dispatched to an incident in which the shooter has targeted unarmed citizens. What about those cases where an armed madman specifically targets law enforcement personnel, can something be done to prepare for these incidents as well? 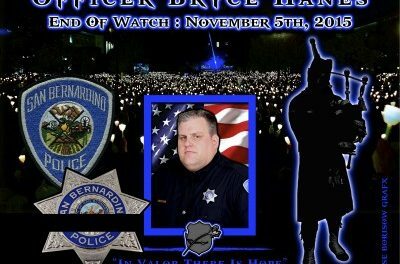 Nobody who worked in law enforcement in the Pacific Northwest during 2009 will ever forget the three months starting in October and ending in December. They are etched for eternity in sorrow and fury on our hearts. Six officers were murdered, killed by gunfire, and five of them in ambush attacks. Two others were badly wounded. 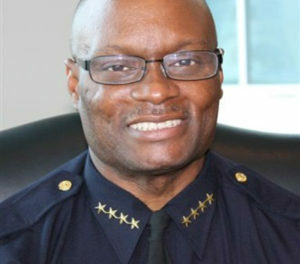 The bloodbath began when Seattle Police Officer Timothy Brenton, a Field Training Officer, was sitting in his police car debriefing his trainee on a traffic stop they had just conducted when a vehicle pulled up next to them and opened fire with a rifle, striking Brenton in the head and killing him while injuring the trainee. Lakewood Police Officers Mark Renninger, Tina Griswold, Ronnie Owens and Greg Richards were killed as they sat in a Forza Coffee shop adjacent to McChord Air Force Base. A man walked into the coffee shop, drew a pistol and opened fire at close range striking each of them in the head or neck with fatal results. The sixth slain officer, Pierce County Sherriff’s deputy Kent Mundell was ambushed responding to a domestic disturbance call and his partner was also wounded. All six of these officers were well-trained, well-regarded, veteran officers with solid street skills. Any one of their deaths would have been a shocking tragedy but taken in the aggregate it was almost too much to bear. Many officers in the Puget Sound were tormented by the realization that if it happened to officers as fine as those six, it could happen to them too. Consider this. 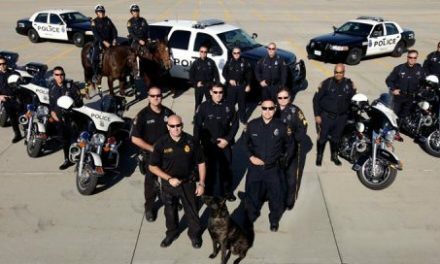 If you walked into whatever sordid joint one hires assassins at and attempted to pay someone to walk into a coffee shop alone, armed only with a pistol, and attack four armed, alert and well-trained police officers, each of whom was wearing body armor; could you even get someone to take that job? It seems unlikely, a hopeless suicide mission. Human nature dictates that in the aftermath of a line-of-duty death we often look for mistakes in the office’rs approach. It’s a self defense mechanism of sorts. If you can convince yourself they did something “wrong”, you may be able to convince yourself that you’d be better if faced with a similar situation, and prevail. In those dark days that closed out 2009, however, many of us were forced to confront the terrible realization that it happened to them, and it could happen to us. In each of these terrible situations the perpetrator had shown signs of dangerous mental instability. Maurice Clemmons told court-ordered psychologists at Western State Hospital about hallucinations involving regarding “people drinking blood and people eating babies”, and was determined to be dangerous but was set free to pursue an insanity defense to the bizarre sexual abuse case against family members that he was a suspect in. Christopfer Monfort was a bitter loner who was rejected in his attempts to get a career in law enforcement and had been fired from jobs as a security guard and private investigator and had then became a crusader against law enforcement. Monfort was driven by political grievance and prone to bizarre rants claiming that the US government paid for lavish vacations for the Saudi royal family. These three incidents that occurred in less than two months in Washington State left six officers dead and two others seriously injured. Each of these three cases bring to mind countless other incidents that each of us are familiar with that are the most dangerous situation we face, an armed, deranged subject, intent on murdering a police officer and using ambush tactics to do so. The most recent FBI statistics on police officers killed in the line of duty bear these observations out. In 2010 ambush attacks resulted in the largest number of police officers feloniously killed, and a large majority of those were shot in the head or neck. The elements of surprise and initiative give the assailant a crucial advantage. Even with great training, good equipment, and sound mental and physical preparedness, there’s no perfect answer to this tactical dilemma. The fact is that our brothers and sisters in blue are occasionally going to lose out in this type of confrontation despite the best efforts of trainers but that doesn’t mean we can’t improve the odds. 1) Turns their hips and shoulders square to their assailant before returning fire. 2) Attempts to use two handed shooting from stationary position. 3) Maintains their head and neck in a stationary and upright position. 4) Delivers shots to their assailant’s torso. The results are consistent and disturbing; the attacker is able to deliver multiple shots to the officer’s head before the officer can return fire. The actions described here are basic principles of marksmanship, range safety and weapons handling that most of us were taught at the police academy. The problem is, these tactics aren’t fast enough to be an effective response and you don’t have to be a doctor of emergency medicine or some kind of gunfight scientist to understand which fighter has the better chances of survival when two close-range combatants are blasting away at each other, one at his adversaries head and the other at his opponents’ torso. 1) Officers react immediately to attack by simultaneously taking ducking their head to one side and drawing one handed. 2) Instead of turning to face the assailant, shots are made with the training pistol extended to the side or even backwards over the shoulder. 3) The officer takes evasive movement while returning fire. 4) Return shots are delivered to the assailants head. In observing the scenarios before and after the training it’s clear that the survivability of the officer using the counter ambush tactics is much higher. You have only to watch the laser light striking the officer’s head repeatedly in the pre-training scenario as they draw their pistol; get a two handed grip and try to square up with their opponent to realize the drawbacks to this approach. Officers using the counter-ambush tactics avoid being struck by what would be lethal shots more often and deliver disabling return fire far more quickly. It’s clear that what’s safe and effective on the range and what may work at intermediate and longer ranges can be counterproductive in these types of situations. The firearms instructors at your department can run these drills for themselves. The SIRT training pistols used the CJTC have a shot indicator laser that allows safe force-on-force drilling in which instructors can observe hits and misses and provide immediate feedback to the students. The same drills could be conducted with other training pistols such as Simunition or Airsoft and appropriate safety equipment. It’s less desirable but substantial training benefit can also be derived by conducting the training with non-firing “red gun” type simulators to work on basic skills. Several of the officers killed in Washington State in 2009 were better, more proficient gunfighters than I am. Loath as I may be to admit it I can’t say I would have performed any better than they did. We owe it to them to study these and similar situations and review and adapt our techniques. In a close range gunfight whoever decides first, draws first, and attacks first has a huge advantage. Being aware of our surroundings, trained and proficient in identifying signs that someone is carrying a concealed weapon, vigilant for pre-attack indicators, and taking a good tactical position all play a crucial role as well. But in a worst case scenario ambushed at close range there are skills and tactics that improve the odds in your favor. Learning, drilling and mastering these skills may save your life. Gabriel Russell is a Deputy Regional Director with the Department of Homeland Security’s Federal Protective Service, a First Sergeant in the Army National Guard, Founder and Managing Partner at Takouba Security LLC, and a volunteer at Safe Call Now. He has a Master’s of Science from Central Washington University. PreviousWhat Makes a Cop Go Bad? 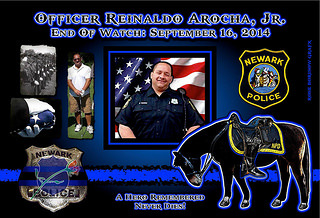 In Memoriam: Officer Reinaldo Arocha Jr.